. Welcome to Quality Home HealthCare. Quality Home HealthCare has been serving the homecare needs for residents of North Carolina’s central piedmont since 1993. Our current areas of service include Alamance, Chatham, Cumberland, Durham, Harnett, Lee, Moore, Orange, Randolph and Wake Counties. 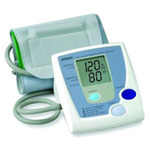 We carry a wide range of products designed to meet your home healthcare needs, including oxygen equipment/refills, nebulizers, walkers, wheelchairs and scooters, lift chairs, diabetic supplies, CPAPs, hospital beds, bath accessories, bariatric products as well as enteral feeding equipment and supplies. Click here to see our complete on-line product catalog or give us a call to see if we carry what you’re looking for. If we don’t carry it, chances are that we can help special order the right product to meet your needs. "Our goal is to provide the highest Quality Home HealthCare equipment, supplies and services in a timely manner to all our patients. Protecting our patients’ rights, dignity and privacy are especially important to us." The staff at Quality Home HealthCare is trained to meet your home healthcare needs and is familiar with the latest home healthcare technology. Our knowledgeable staff of 26 receives annual training and education in their respective fields of expertise to ensure you receive quality service with your home medical equipment. We are a locally owned and operated business in North Carolina. We care about our patients and are proud to serve our community. 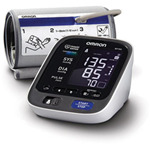 As our patients and customers will tell you, you can count on us to meet your home healthcare equipment needs. We pride ourselves on providing outstanding and unmatched quality service. Treat others the way we would want to be treated. If you’re not a customer already, please give us a chance to earn and keep your business!